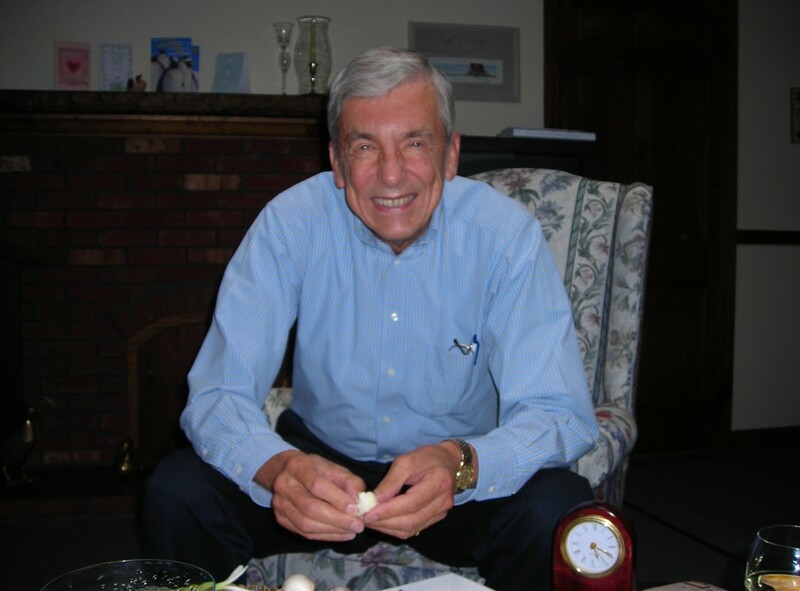 Gunārs V. Zāgars, a 45 year resident of Westford, died Saturday morning, October 6, 2018, at Bridges by EPOCH, after four years of battling Alzheimer’s disease, at the age of 83. He was the husband of Norma (Desilets) Zagars, with whom he shared 53 years of marriage. Mr. Zagars was born in Riga, Latvia, May 27, 1935, son of the late Voldemārs and Zinaīda Zāgars. He left Latvia with his parents and siblings in 1944 to escape the second Soviet Communist occupation. After two years in Czechoslovakia and Germany, the family emigrated to the United States in 1946 and settled in Selinsgrove, PA. Throughout his life he remained a passionate son of Latvia, re-learning the language, rejoicing when the country gained independence in 1991, and later meeting the Latvian President and receiving a special award for his work to help ensure that Latvia and other small countries regularly earned a moment of glory by being included in NBC’s television coverage of the “parade of nations” during the opening ceremonies of the Olympics. He studied at Yale University and Gettysburg College, ultimately receiving a Bachelor's degree in computer science from Boston University and a Master's degree in computer engineering from the University of Massachusetts, Lowell. Mr. Zagars served in the U.S. Navy for four years attaining the rating (rank) of electronics technician first class. In Westford, he was a member of a number of volunteer committees and participated in almost every Town Meeting since 1973. He was elected to the Westford Republican Town Committee every four years since 1984. Mr. Zagars was a lifetime member of the Middlesex Club, the oldest Republican club in the country. He also served his town as a special police officer and election officer. Mr. Zagars worked for a number of computer companies including Sperry Rand, Honeywell, Raytheon and Digital Equipment Corporation before joining the Massachusetts Health and Human Services Department. He was a member of Sigma Chi Fraternity, Fraternitas Lettica, Sigma Pi Sigma Physics Honorary Society, the Association for Computing Machinery, the American Latvian Association, the American National Latvian League, Selective Service System's Local Board 100 from 1991 to 2011, and Toastmasters International. Mr. Zagars and his wife enjoyed both theater and opera; they held season subscriptions for many years. They also traveled to Europe and other destinations almost every year. Besides his wife, Gunars Zagars is survived by a daughter and her partner, Julie Zagars and Joe Dobrow of Boulder, CO; and a son, daughter-in-law, and grandson, Christopher Zagars, Caitlin Shepherd, and Milo Zagars of Easthampton. He was the brother of Ileana Jones of Cambridge and Askold Zāgars of Philadelphia, PA.
Mr. Zagars’ family would like to express their gratitude for the outstanding care he received by the staff of Bridges by EPOCH and Beacon Hospice, with special thanks to Marcey Phillips. In lieu of a formal funeral, the family will hold a reception at Bridges by EPOCH on Sunday, October 14, 2:00 – 4:00 p.m., 108 Littleton Rd, Westford, MA 01886. In Latvian, UZ REDZĒŠANOS! (ooz REHD-zehh-shanohs) means "goodbye" or "until we meet again."